DURHAM, NC (WTVD) -- The Pittsburgh men's basketball team has confirmed on Tuesday that Jeff Capel, the former associate coach at Duke, has become the new head coach of the Panthers. Panther fans, please welcome head coach Jeff Capel! ESPN's basketball insider Jeff Goodman first tweeted: "Pittsburgh expected to hire Duke assistant Jeff Capel, source told ESPN." around 9 a.m. on Tuesday. 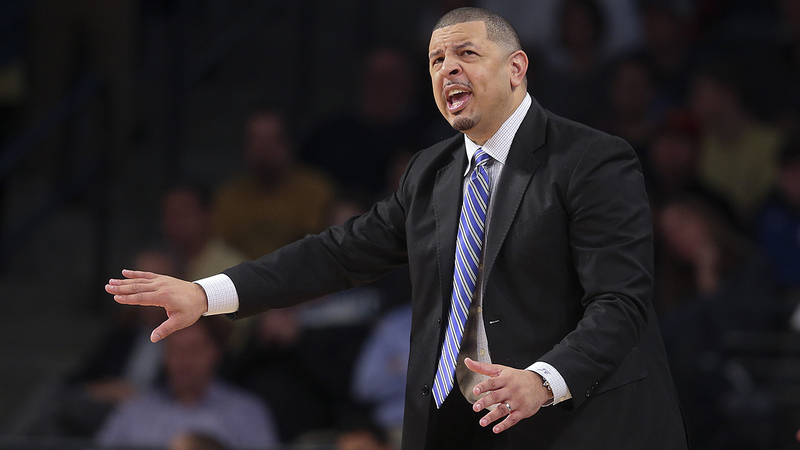 Pittsburgh expected to hire Duke assistant Jeff Capel, source told ESPN. Around 12 p.m. Maria Taylor, ESPN college basketball reporter, tweeted: "It's a done deal." It’s a done deal... @jeffcapel is headed to Pittsburgh MBB Capel had his final meeting with Pitt yesterday and official press conference is set for tomorrow. Jeff Capel, a former Duke star, coached with the program for seven seasons including four seasons as an associate head coach. Prior to coaching at Duke, Capel was a collegiate head coach for nine years. Capel owns a 175-110 record as a head coach between his time at VCU and Oklahoma. He has three NCAA Tournament appearances including taking Oklahoma University to the Elite Eight in 2008. Pittsburgh went 8-24 this past season and 0-18 in ACC play.